While China strictly banned initial coin offerings (ICOs) and cryptocurrency exchanges platforms and Macau’s monetary regulator barred local firms from providing ICO-related financial services, Hong Kong has emerged as something as an ICO hub. 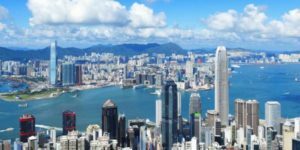 Hong Kong has witnessed several token sales taking place in its city. Although it hasn’t had noble campaigns like Switzerland or Singapore, the number of local startups opting for the novel fundraising method is on the rise. Hong Kong-based Simple Token conducted an ICO which attracted nearly 7,000 unique purchasers, raising approximately US$21 million in OST. Simple Token, founded by serial entrepreneur Jason Goldberg, enables any company to create, launch, and manage their own branded digital token economy on open and highly scalable side-chains anchored to the Ethereum mainnet, without in-depth blockchain development requirements. Decentralized token exchange AirSwap raised a total of US$36 million in its token sale in 2017. Over 9,000 investors participated from 135 countries. Hong Kong-based CoinMetro began its presale in December 2017 in a partnership with FxPig. The project aims to build a new trading platform, the CoinMetro Exchange, which promises to be a one-stop all-in-one trading platform designed for global adoption. In a month, CoinMetro will run the main token sale. Technology company Octo3 completed its ICO on October 31, 2017 for the sale of HAZ Tokens. The company said the token sale was aimed at financing the upgrade of its existing payment processing network into a blockchain-enabled system. The omni-channel transaction network, called HAZZA, promises to cut through layers of parties involved in the payment process so that merchants access multifarious payment systems, including credit cards and mobile wallets with lower costs. Sharpe Capital is currently running a token sale to fund the development of a decentralized ecosystem to help retail traders and institutional investors understand financial markets better. The Sharpe Platform, supported by issuance of SHP cryptotokens, promises to bring together a multitude of novel innovations in smart contracts, quantitative trading, machine learning, linguistic analysis and artificial intelligence. Betex Lab is conducting its presale for Betex, a peer-to-peer platform for trading derivatives based on the blockchain. Initially, Betex will allow binary options trading, and add other, more complicated derivatives later on. The company said it aims to improve the existing derivatives’ market by using the Ethereum smart contracts. As of January 14, 2018, Betex Lab had successfully sold 100% tokens in the first pre-sale round with US$1 million raised. As Hong Kong starts to get in on the ICO action, evangelists for cryptocurrencies see token sales as a way for Hong Kong to regain its place at the forefront of the Asian, and even the global, financial services industry. “I think Hong Kong is probably the best place in Asia to do a token sale right now,” Jehan Chu, managing partner at Kenetic Capital, a Hong Kong-based a blockchain and crypto currency investment firm, told the South China Morning Post. “Everything you need is here. We have the procedures set up, and we’ve shown they work on successful token sales. There are advisers here and plenty of investors. The Fintech Association of Hong Kong published a paper in December 2017 outlining best practices for running token sales in Hong Kong in respond to the growing interest in ICOs. Best Practices for Token Sales has been written to provide general and practical guidance on the latest best practices for those thinking looking to conduct a token sale as well as for those wanting to learn more about this area. Featured image: Bitcoin via Pixabay.